The Scranton/Wilkes-Barre RailRiders are a professional minor league baseball team based in Moosic, Pennsylvania in the Scranton/Wilkes-Barre area. The team plays in Northern Division of the International League and is the Triple-A affiliate of the New York Yankees Major League Baseball club. The team plays at PNC Field (formerly Lackawanna County Stadium), their home since 1989. 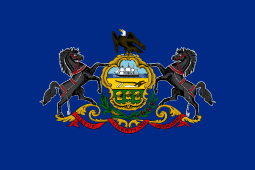 The Scranton/Wilkes-Barre RailRiders were founded in 1919 in Reading, Pennsylvania, as the Reading Coal Barons. The team changed names to Marines in 1920, Aces in 1921, and Keystones in 1923. The team played in Reading from 1919–1932. The team relocated to Albany, New York to become the International League incarnation of the Albany Senators and played in Albany from August 1932 – 1936. The team then relocated to Jersey City, New Jersey, to become the Jersey City Giants and played in Jersey City from 1937–1950. The Jersey City Giants are one of the most historic teams of minor league baseball. The team moved again to Ottawa, Ontario to become the Ottawa Giants in 1951 and renamed Ottawa Athletics (Ottawa A's) in 1952. The team played in Ottawa from 1951–1954. The team moved again to Columbus, Ohio to become the Columbus Jets and played in Columbus from 1955–1970. In 1971, the team moved again to Charleston, West Virginia and became the Charleston Charlies, playing in Charleston from 1971–1983. Success came quickly as the Charlies posted a 78–62 record and won the Governors' Cup trophy while sharing prospects from the Houston Astros and Toronto Blue Jays. The Charlies followed with four below average finishes before reaching the postseason in 1983. Following that season, the team moved to Old Orchard Beach, Maine, to become the Maine Guides. The 1984 Maine Guides were the most successful team to play in the resort town of Old Orchard Beach. They posted a 77–59 record before losing to the Pawtucket Red Sox in the final round. From the beginning, the club found itself at the bottom of attendance figures due to a seasonal fan base and a serious mosquito problem. The team managed to draw only 105,578 fans in 1986, good for last in the IL. In 1987, a group from Scranton, Pennsylvania, called Northeast Baseball, Inc., purchased the team with the hopes of moving it to a soon-to-be-built stadium in Lackawanna County. Maine ownership later sued NBI, claiming violation of the purchase contract. NBI also filed suit, and after a lengthy court battle, won control of the franchise. The Philadelphia Phillies took control of the team for its final season in 1988, renaming it the Maine Phillies. The team played in Maine from 1984–1988. The team finally moved to the Lackawanna County in 1989 and were renamed Scranton/Wilkes-Barre Red Barons. The name was chosen as a reference to the early minor league franchises in the area, the Scranton Red Sox and the Wilkes-Barre Barons, both members of the Eastern League. Despite early on-field struggles, the team enjoyed great popularity in the community. The Red Barons drew over 500,000 fans for their first five seasons. Led by .310 hitter Rick Schu and Jay Baller's 22 saves, the club drew 598,067 fans and finished 84–58 in 1992, good for first place in the IL Eastern Division. The Barons would eventually fall to the Columbus Clippers in the championship series. After six mediocre seasons, Marc Bombard took over as manager in 1997, and led the club to their second postseason appearance in 1999. The Barons reached the playoffs in four straight seasons from 1999–2002, losing in the finals in both 2000 and 2001. Bombard would manage the team for eight seasons, posting the best finish in Red Barons' history, a 91–53 record in 2002, led by Joe Roa's perfect 14–0 record. The middle part of the 2000s saw a large number of talented players play for the Red Barons. Many of them, such as Chase Utley, Ryan Howard, Shane Victorino, and Cole Hamels, would help the Phillies win five consecutive division titles from 2007 to 2011, and a World Series in 2008. Despite this, attendance dropped during this time. 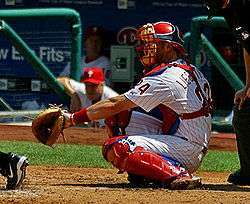 Following the 2006 season, the Phillies ended their affiliation with the Red Barons and signed a player development contract with the Ottawa Lynx in anticipation of that team's move to Allentown's new Coca-Cola Park as the Lehigh Valley IronPigs for the 2008 season. 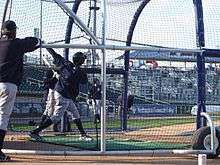 Members of the Scranton/Wilkes-Barre Yankees take batting practice before the Opening Day 2009 game versus the Lehigh Valley IronPigs at Coca-Cola Park in Allentown, Pennsylvania. On September 21, 2006, the Red Barons announced an affiliation agreement with the New York Yankees, ending the Yankees' 28-year relationship with the Columbus Clippers. The Red Barons sold 47,000 tickets on the day of the announcement. On December 12, 2006, the team was renamed Scranton/Wilkes-Barre Yankees, and unveiled new team logos and uniforms. The club has enjoyed much success in their first four seasons as the Yankees. In 2007, the SWB Yankees finished with a record of 84–59 and captured the IL North Division title for the fourth time in team history before losing to Richmond in the semi finals. The 2008 season was the most successful in franchise history as the Yankees finished 88–56, won another division championship, and earned their first league title. After defeating the Pawtucket Red Sox 3–1 in the semi finals, the Yankees beat the Durham Bulls 3–1 in the final round to earn the Governors' Cup trophy. The team would again finish in first place in 2009 and advance to the championship before being swept by Durham, 3–0. The team made history in 2010 as they became the first club in the 126 years of International League play to win five consecutive division championships. Since 2006, S/W-B has compiled a record of 424–289 (.595 winning %) and has finished atop the Northern Division. In the 2010 postseason, the Yankees were beaten by the Columbus Clippers three games to one in the semi final round. On November 9, 2010, the Lackawanna County Multipurpose Stadium Authority voted to sell the franchise to Mandalay Baseball Properties. The following day, SWB Yankees, LLC, announced plans to move ahead with a $40 million renovation to PNC Field. On April 26, 2012, the Scranton/Wilkes-Barre Yankees were officially sold to SWB Yankees, LLC, which is a joint venture between the New York Yankees and Mandalay Baseball Properties. While SWB Yankees, LLC owns the team, Mandalay Baseball Properties still manages the team. Leadership of the Scranton/Wilkes-Barre Yankees changed on July 9, 2012, when Rob Crain, the former assistant general manager of the Omaha Storm Chasers, was named the new president and general manager of the Scranton/Wilkes-Barre Yankees. Crain replaced former president Kristen Rose, who resigned from her position in April 2012. During the 2012 season, while their stadium was being renovated, they played home games at various sites, primarily in New York state. For this season, while the team was still officially the Scranton/Wilkes-Barre Yankees, they used an alternative name which was "Empire State Yankees" for promotional purposes. With the transition in ownership from a public authority to private hands, the new owners expressed an intent to change the name of the team for the 2013 season, including a possible change from "Scranton/Wilkes-Barre" to some other location identifier. On November 14, 2012, it was announced that the team would be known as the Scranton/Wilkes-Barre RailRiders, with logos, colors, and uniforms announced with the new name. The team name was created by Chuck Parente of Duryea. On July 25, 2013, the RailRiders played the longest game in Scranton/Wilkes-Barre franchise history, defeating the Toledo Mud Hens 2-1 in 20 innings at PNC Field. On September 3, 2014, Mandalay Baseball Properties announced the sale of its 50% interest in the RailRiders to the SWB Investors LLC. The sale was estimated to be in the $13 million to $15 million range. The New York Yankees retained their 50% ownership of the team. On January 6, 2016, Al Pedrique was announced as the RailRiders new manager taking over for Dave Miley. In 2016, the RailRiders captured the franchise's second Governors' Cup title, securing 3-1 series victories over arch rival Lehigh Valley and the Gwinnett Braves. The RailRiders then defeated the El Paso Chihuahuas of the Pacific Coast League by a score of 3-1 in the Triple-A Baseball National Championship Game. As the Maine Guides, they played in the championship series once. As the Charleston Charlies, they won the Governors' Cup once, and played in the championship series 2 times. The RailRiders home uniform is white with navy blue pinstripes, mirroring those of the New York Yankees. The primary home jersey features the RailRiders wordmark logo on the chest. The cranberry colors in the logo are a tip of the cap to the Red Barons. John Sadak, the 2012 Carolina League broadcaster of the year and the 2013 national minor league broadcaster of the year, is the current TV/radio play-by-play announcer. He took over the play-by-play duties starting with the 2013 season. The team's former radio play-by-play announcer, Kent Westling, retired prior to the 2008 season and had been with the franchise since it moved to Pennsylvania in 1989. While he cut back his schedule in later years, Westling, a former local television sportscaster who once worked on telecasts of St. Louis Blues hockey team, had been behind the microphone for more than 2,000 games until announcing his resignation after the 2007 season. Mike Vander Woude served as the team's second play-by-play announcer from 2008 until 2012. For the 2016 season, the play-by-play announcers are John Sadak and Darren Headrick. ^ Igawa was posted by the Hanshin Tigers in 2006 and the Yankees won the bidding for him. However, he spent most of his time with the team in Scranton as he struggled to remain on the Yankees' roster and has since returned to Japan. ↑ "1984 Maine Guides Statistics". The Baseball Cube. Retrieved November 18, 2011. ↑ "1992 Scranton/Wilkes-Barre Red Barons". The Baseball Cube. Retrieved November 18, 2011. ↑ "2002 Scranton/Wilkes-Barre Statistics". The Baseball Cube. Retrieved November 18, 2011. ↑ "Yankees Farm Team To Play Here". ↑ Scranton/Wilkes-Barre Yankees (December 12, 2006). "Scranton/Wilkes-Barre Yankees: News: Article". Minorleaguebaseball.com. Retrieved February 20, 2011. ↑ "SWB Yankees, LLC welcome Stadium Authority decision on renovation | Scranton/Wilkes-Barre Yankees News". Scrantonwilkesbarre.yankees.milb.com. Retrieved February 20, 2011. ↑ "Scranton/Wilkes-Barre Yankees Triple-A franchise sold". citizensvoice.com. April 26, 2012. Retrieved July 19, 2012. ↑ "Sox fan hired to lead Yankees". GO Lackawanna. July 10, 2012. Retrieved July 19, 2012. ↑ "Red Wings to host SWB Yankees games in '12". ↑ "SWB Yankees announce home sites for 2012" (PDF). ↑ "Rail celebration". Times Leader. Retrieved 2015-12-18. ↑ "RailRiders interest sold to investment group". Ball Park Digest. Ballparkdigest.com. 3 September 2014. Retrieved 4 October 2014. ↑ "Pedrique Headlines SWB Field Staff Changes". www.milb.com. Minor League Baseball. ↑ "El Paso vs. Scranton/WB - September 20, 2016". www.milb.com. Minor League Baseball. Retrieved 21 September 2016. ↑ Scranton/Wilkes-Barre RailRiders (October 30, 2012). "Sadak Named SWB's New Voice". Minorleaguebaseball.com. Retrieved November 15, 2012. ↑ Scranton/Wilkes-Barre Yankees. "Scranton/Wilkes-Barre Yankees: News: Article". Minorleaguebaseball.com. Retrieved February 20, 2011. ↑ thetimes-tribune.com (January 14, 2013). "RailRiders get five-year radio deal". thetimes-tribune.com. Retrieved April 19, 2013. Wikimedia Commons has media related to Scranton/Wilkes-Barre RailRiders. "Red Barons Guaranteed Major League Affiliate".